The E100XT is an all electric adhesive dispensing head. As the central valving components of Slautterback hot melt systems, the E100XT head dispenses beads or dots of hot melt adhesive or other thermoplastic materials. A large selection of nozzles provides a variety of adhesive patterns. >The applicator head design is simple, reliable and durable. 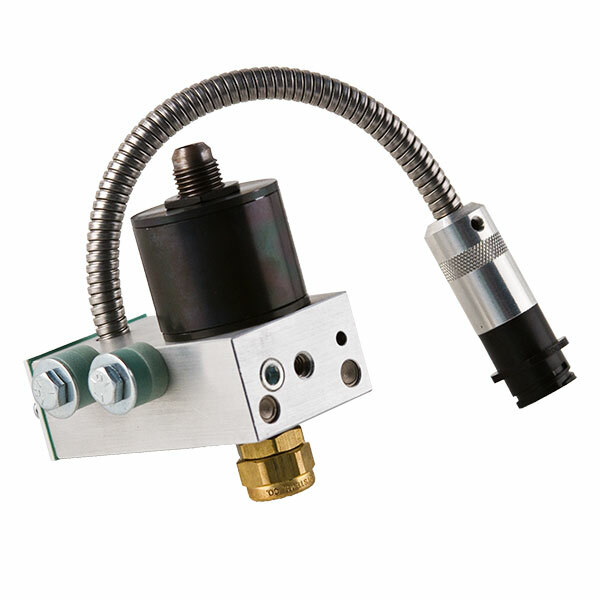 Requiring no compressed air or a complex valving system, the E100XT consists of one simple valve, one static o-ring, one electric solenoid, one or two heaters, a thermostat or RTD sensor and a power cable. A pattern controller signals the solenoid to activate the valve and dispense adhesive.